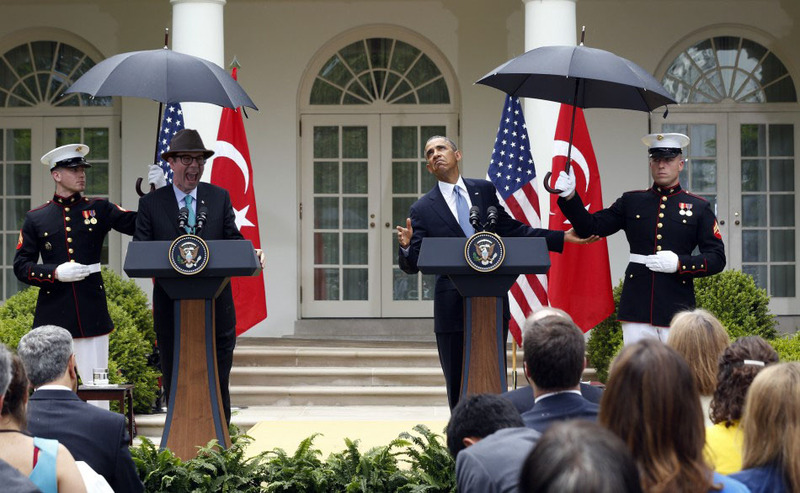 Well I found myself in the middle of controversy again when I was giving a press conference with President Obama and he asked a couple of Marines to hold umbrellas over our heads. I was surprised to learn that Marines don’t use umbrellas – who knew!? !